Whats app has become the primary and prefered messaging platform for everyone across all the platforms. And with the latest phones being released in the market we are upgrading from one phone to another and if you are looking at transferring or getting the Whats App data from your old device to new android device then follow these simple steps and easily transfer or migrate Whats app back up or chats from Old android device to your new android device. Here you will find the “Backup Conversations”. 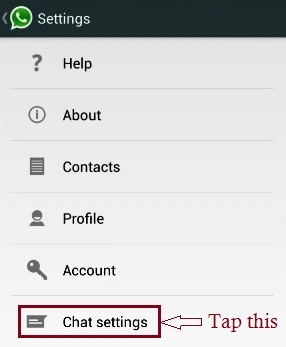 Just you have to Tap on it and your Conversations or Chats Back UP will be created automatically on your android device. After your Whats App Back up is created on your device you have to connect your android device to your Laptop or PC using a USB cable. There will be a pop up seen in the right lower side of your screen on your Windows PC or laptop showing that USB has been Connected and you have to click on the “Turn on USB Storage” which will give you permession to (read/write) from your PC or Laptop to your android device and device to PC. Open you Phone Storage where you will be finding two options: Internal Storage and External Storage. Click on Internal Storage first and search for the Whats App folder which will contain your Back Up files as well, if you find it just copy it and paste it on your Laptop or PC desktop. 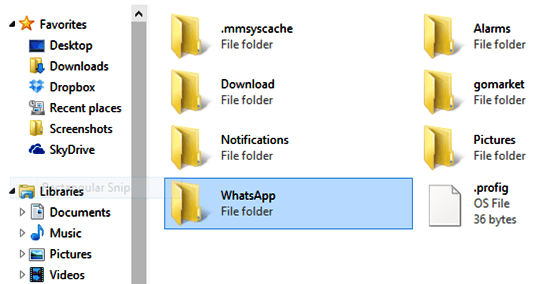 If you are nota ble to find the Whats App folder in Internal Storage then you ahve to open the External Storage or SD card folder and search and do the same thing as above. After you have saved the WhatsApp back up file on your Laptop or PC, you have to now disconnect the Old android device and if you have your other or new android device with you can conncet it to using the USB cable. And WhatsApp should be installed on your device. Now you have to open you device folder in your PC or Laptop and open the Internal storage folder and search for WhatsApp folder in it, if it is not seen go to External Storage or SD card and search for it there. When you find that folder, do not open the folder but just delete it and then copy the older folder which you have saved on your PC or Laptop Desktop and paste it here. All you have to do now is disconnect your device from PC or Laptop normally and then lauch WhatsApp on your new device. You can see all the old conversations and chats in your Whats App on your new android phone, and if you are not able to see them restart your android device once and all the conversations will be visible.